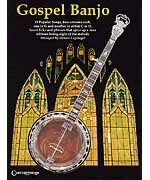 This book presents 31 of the most loved old-time gospel songs arranged in three-finger style, complete with musical notation, banjo tablature, chords, and lyrics. First position and up-the-neck arrangements. The CD is a solo recording, a teaching recording, and a play-along recording all rolled into one.